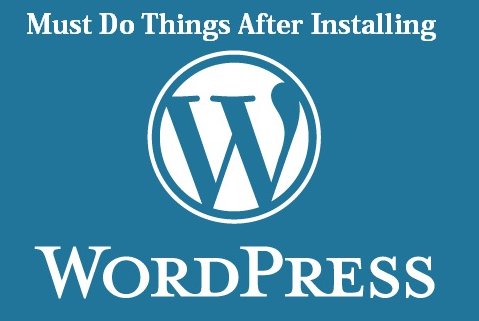 Starting is the most difficult part in every field but if you had started your blogging journey and installed WordPress, now you need 7 Essential things to do after installing WordPress. Before going to discuss 7 essential things, I would like to suggest you that, once you done with 7 essential things, then work on your blog promotion by creating quality of content. The first thing is to change the default permalink to custom permalinks. Actually, default WordPress permalink is short and not friendly for search engine, it looks like http://xyxdomain.com/p=123 etc. 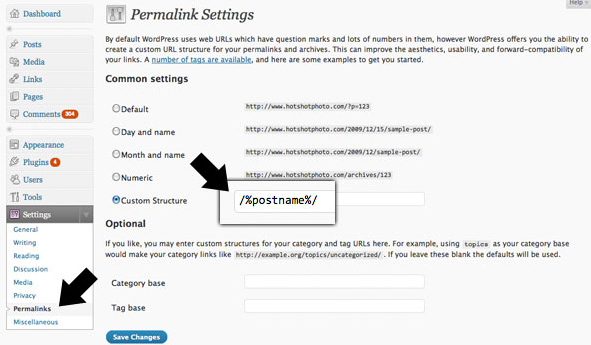 How to set best permalink for WordPress? The best permalink setting is to just use post name. Simply login to WordPress account, go to setting>click on permalink, here you have 6 different options for permalink. You can either leave default permalink, or select according to your choice. Majority of bloggers recommend “post name” for permalink, therefore better to select “post name” second last option and save changes. WordPress gives an easy excess to choose between www dot and non-www dot version. Well, there is not much difference between the www and non-www versions, but sometime search engine consider it as duplicate pages. When search engine consider these both as separate pages, therefore it’s better to decide among these two. How to change blog URL to www version? It’s quite easy to change non-www to www version in WordPress, just go to settings-> click on General and write “www dot” in Site Address (URL) if you want to change your blog URL. Gravatar is an abbreviation for “Globally Recognized Avatar” which providing a unique avatar created by Tom Preston-Werner. I have seen this confusion in every WordPress blogger at the beginning that How do I Upload a Profile Picture to WordPress? The answer is, you cannot directly upload a profile picture in WordPress and for this, all you need a Gravatar account to display the author picture. Many people still don’t know about Gravatar, because it is mostly used on websites and blogs. So you need to set your Gravatar profile after installing WordPress. There are plenty of Plugins for WordPress platform, but I have collected some essential Plugins, which can be useful to use after installing WordPress. If you want to visible your site on search engine, all you need to install SEO by Yoast plugin on your blog. It has 4.5 million downloads, which has been developed by SEO expert Joost de valk. It is the best plugin for On-Page SEO techniques. Therefore, after creating WordPress, you should also install SEO by Yoast. It will visible your site on search engines, like Google, Bing and Yahoo etc. Akismet is a WordPress plugin, which is best known for differentiating between genuine and spam comments. If you want to prevent your blog from spamming, all you need to install Akismet plugin on your blog after installing WordPress. 5- Add Your WordPress Blog To BingYahoo And Google Webmaster Tools? Google and Bing Webmaster Tools are used to check the Indexing Status, Crawl rate and view statistics about a particular site. It simply provides you the data and reports related to your blog, through which you can easily understand the appearance of the other pages on your blog. It is displaying the results of search queries and how often it has been clicked. If you want to optimize your site for search engines, just add your WordPress blog to Bing Yahoo and Google Webmaster Tools. WordPress is assigning a random number password to your admin user; therefore, you have to change the password and admin name for your blog after installing WordPress. If you want to make more admins for your blog, then you can also add more authors to your blog. How to Add Metro Style Social Widget In Blogger?